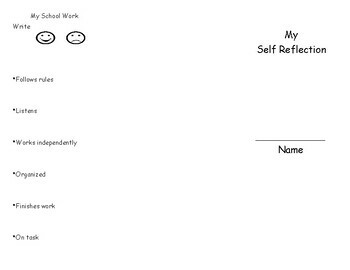 This was created to be used after each grading period. Students will revisit during the grading period. 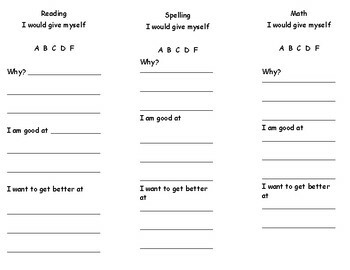 Students will self assess before each grading period. Copy back to back and fold in thirds.